february's been a month of creature comforts, relying on the basics to carry me week to week. my navy jamie jeans from topshop have frequented so often that come payday, investing in a black pair is first on my list of things to buy. they're a mid-rise mixture of stretchy skinnies with a true denim texture, and therefore a piece i'd recommend to any girl. 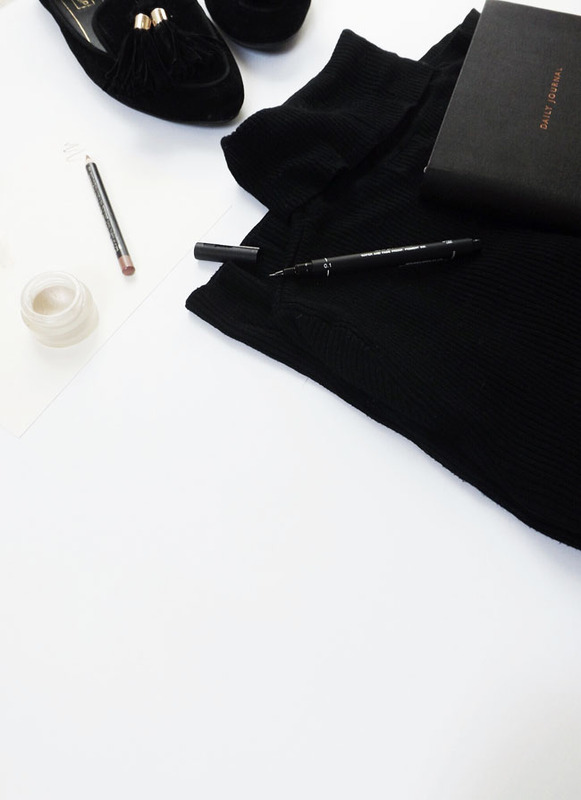 following on with this appreciation for basics, i've enjoyed wearing this fitted roll neck jumper as a layering piece under shirts and jumpsuits, as well as alone for something a little more simplistic. 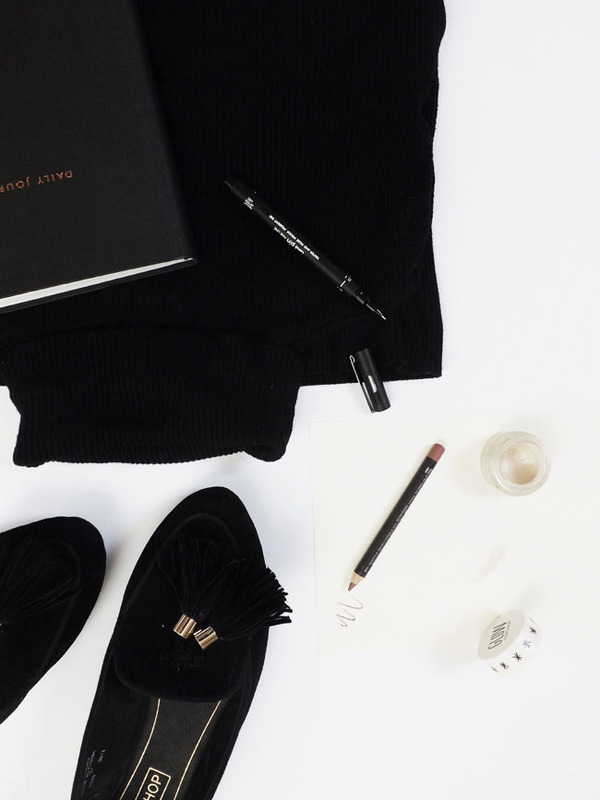 finally, in the fashion stakes these velvet slippers - again, from topshop - have proven comfier than trainers and will transition the year through, complimenting every outfit with a soft-tailored finish. because nothing beats the basics. in relation to my morning and evening regime, everything has stayed as it was. bearing this in mind, i wanted to pay some attention to the items i often overlook as they've been in my makeup bag for so, so long. topshop's glow is a purse-friendly cream highlighter that naturally accentuates the high points and works wonderfully as a strobing product, providing a pretty dew on the skin. 'polish' is a beautiful cool tone - pearlescent even - and is what i reach for over my m.a.c highlighters most days. speaking of m.a.c, boldly bare has been featured in a favourites post before. judging from the size of the pencil though, it's apparent how much i use and cherish this lip product as a lovely pink shade for everyday wear, so much so it needed another mention. this month i've pushed myself to be exceptionally organised. early starts and lots of to-do lists have made for a much more productive me, and i'm putting a lot of this down to this daily planner from oh deer. its something i fill out in the evening before a busy day, so its endlessly helpful that its an undated journal. furthermore, with lists, notes, and schedule sections i'm far less stressed when it comes to day-to-day errands. basically, this book with a medium caramel latte from costa and i'm away. for when the day is done and its time to wind down though, i've been loving catching up with fleur de force's february vlogs for my daily dose of sausage dogs.